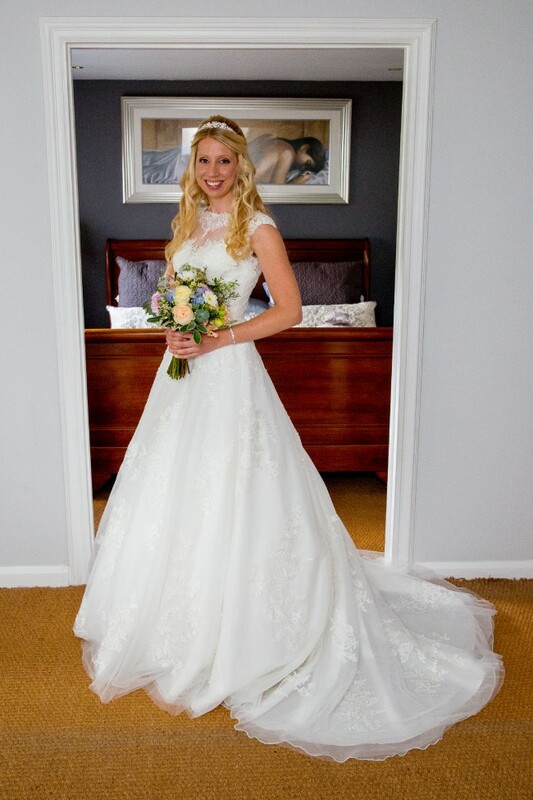 A beautiful classic lace and sparkle Ivory A-line gown with zip and button finish. I paid £1470. Has been professionally dry cleaned by 'Terrington Burchett' and is in very good condition. Comes with protective zip up bag. Altered to the measurements mentioned.